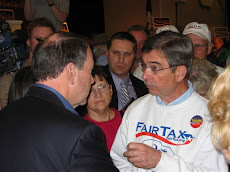 Doug - That was a great video...the entire panel appeared to really embrace the Fair Tax...I have to figure a way to get that video up on my Facebook page..."Fair Tax 2012". For those that are not on this Facebook page please friend me on Facebook and request to be added to the Fair Tax 2012 page. There are currently 800 members at last look. 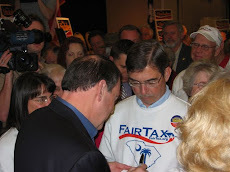 It's a chance to learn more about the Fair Tax and maybe for you to add others to join the discussion on the Fair Tax. My email address is ec115@aol.com.